The state's 14 private health insurers are requesting on average a 24 percent increase in rates next year. ALBANY -- The state's 14 private health insurers are requesting on average a 24 percent increase in rates next year, citing growing costs and a major looming change to federal health care. The insurers on Monday released their proposed rate increases for individuals and small group plans for 2019. They said they need the substantial increases in part because the individual mandate under the federal Affordable Care Act is being repealed. "The proposed premium rate requests are reasonable, reflecting the cost of care and taking into account a number of factors contributing to rising health care costs," said Eric Linzer, president of the state Health Plan Association, which represents insurers. The state Department of Financial Services will now receive each company's proposal and then decide what the increases will be. For the current year, for example, insurers got an average increase of about 15 percent for individuals. They initially sought a 17 percent increase. "We will continue to ensure that any rate increases are fully and actuarially justified by appropriate medical cost increases and are not inadequate, excessive or unfairly discriminatory," said Maria Vullo, the agency's superintendent, in a statement. For small-group plans, insurers are requesting a 7.5 percent increase. For individual plans, the largest increase being sought is 39 percent by Fidelis, which serves 1.7 million members. EmblemHealth, which largely serves the New York City area, asked for a 32 percent increase. Excellus, based in Rochester, proposed a 9 percent increase. Any increase approved by the state could affect the rates paid by people on private insurance, as well as the 4 million New Yorkers enrolled in its health exchange. The state put the rate increases squarely on the repeal of the individual mandate, saying without the change, insurers would be seeking increases of about half as much. The individual mandate was a key piece of Obamacare in 2010 because it required people — particularly healthy, young people — to buy insurance. The goal was to limit the risk pool and lower rates, but President Donald Trump and the Republican-controlled Congress said the measure was ineffective and repealed it last December. Still, Vullo said insurers cited the loss of the individual mandate as the main reason for large increases sought by insurers. "The individual mandate, a key component of the Affordable Care Act, helped mitigate against dramatic price increases by ensuring healthier insurance pools," Vullo said. Insurers cited other cost factors, too, such as the increase in prescription-drug prices. 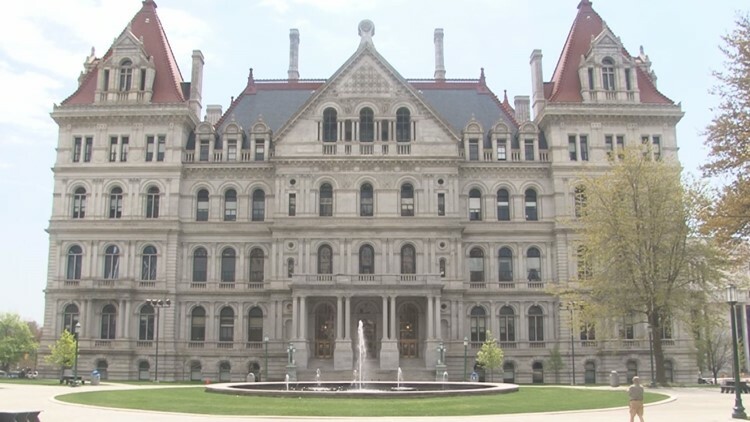 The proposed rates raise concerns about the health of New York’s individual health insurance market, said Bill Hammond, director of health policy at the Empire Center, a fiscally conservative think tank in Albany. He said it is the fifth year in a row that insurers have sought double-digit increases. "Even after DFS knocks the requested rates down a little bit, the final increase is on track to be in the double digits for the third straight year," Hammond said.